Gambling refers to the betting of money on an event with an uncertain outcome, with intent of winning additional money. The decision to gamble a certain amount of money is based on three parameters namely; how much to bet, the predictability of the event and the conditions agreed upon between the gamblers. The skill of a gambler lies in performing the calculation between the three parameters and making a decision about what amount should be put on stake and how much to expect in return. Games offered in casinos, the table games like poker, Red Dog and Blackjack as also electronic games like Slot Machine and Video Poker are some of the common types of gambling. 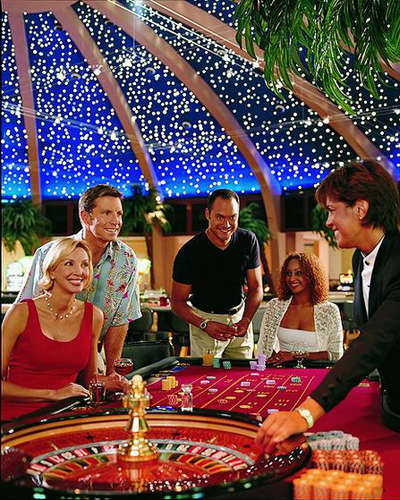 Card games, coin tossing and dice based games are some of the non-casino based forms of gambling. Sports betting and arbitrage betting are the other types of gambling. Are you addicted to gambling? Gamblers Anonymous offers the following questions to anyone who may have a gambling problem. These questions are provided to help the individual decide if he or she is a compulsive gambler and wants to stop gambling. Use the results to help decide if you need to seek help from a doctor or other mental health professional to further discuss diagnosis and treatment of an addiction to gambling (compulsive gambling). Gambling is practiced as a means of recreation. But does it invite any amount of peace? Does it result in mental satisfaction? The answer is negative. Research has rather shown that gambling can lead to harmful behavior in some people. Gambling has been proved as being an addictive activity. The addiction leads the gamblers to continue with gambling activities irrespective of whether they earn or lose in the deal. Gambling can in fact be a thoughtless splurge of money and valuables. Gambling is believed to lead the gamblers towards crime. The addiction gets on to them to such an extent that they fail in thinking wisely before acting due to which they might land up in worse situations. They may take wrong decisions in life. People who fall prey to gambling tend to drift away from their families and waste money on other bad practices. The treatment of such addicts again needs money. There is a lot of expenditure on curing the addicted gamblers of society. When gamblers indulge into excessive gambling activities, they tend to spend time and money at the expense of their jobs and time with family and friends. They tend to stay away from their near ones, resulting in distrust between them and their loved ones. Gambling at the cost of one's job results in a decline in the quality of one's professional life. Addiction to gambling is sure to hamper one's career. People are seen taking to gambling as a way to run away for their problems, stress, anger and loneliness. Gamblers often exhibit mood swings and a strangely secretive behavior. They run behind gambling without the thought that gambling is actually inviting more problems in their life. Their unquenchable thirst of profits makes them continue wanting more. They start borrowing money and taking secret loans to bet money. In spite of the losses they face, they continue betting. Their addiction to gambling can leave them in bankruptcy. On looking at the negative effects of gambling, we realize that a little bit of gambling can serve as a recreational activity but its excess, resulting in addiction should be strictly avoided. Since ancient times, people are not indifferent to gambling and playing games. With the development of technology, the types of gambling are various. Many people today are involved in gambling. Many people gamble to make money; some people gamble for entertainment purposes, and some people gamble because it is connected to excitement that they can?t live without. Gambling is the type of game for getting the final profit, but it doesn?t happen without taking the risk. These games in many cases depend on chance, happiness, and the luck of the gambler. Every person during their lifetime tries to play at some kind of gambling. For some people the experience was a success and for other people it wasn?t a positive experience. There are people that are totally engaged in gambling. They are looking for adrenaline, excitement, emotions, and to escape their reality. There can be different types of gambles depending on their goals while they are gambling. At any casino, there are many types of gambling that attract many amateurs. These games of chance like slot machines, baccarat, roulette wheel and many other games give you a very low probability of winning. Playing these games for a long period of time may cause the gambler to lose everything. In this case, people play at their own risks. Between amateurs there are many pathological gamblers who can?t control their actions and desires. Professional players usually don?t play for the risks, but are willing to play for the benefit of making a living. They also know what they are doing and why they are doing it. For professional gamblers, the risk is momentary. They play those types of gambling where they are sure of a successful outcome. They practise gambling on horse races, dog races, black jack, poker, casino games, and other card games. 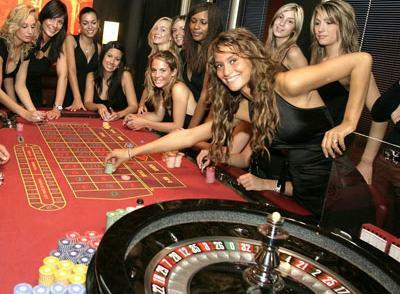 With the development of the internet gambling is become very popular on the computer. The gambling business changed its face. Internet casinos, roulette, and card games on line have become very popular to try your hand at gambling without leaving home or the work place. This is the perfect chance for those people who don?t have any place in their town or city to go gambling. 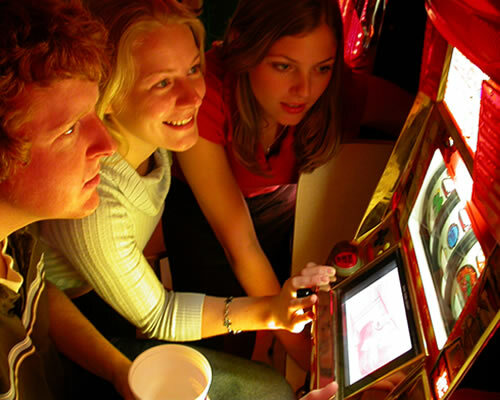 The popularity of web based gambling has increased over time. Many countries try to govern and control the business of gambling in their territories. 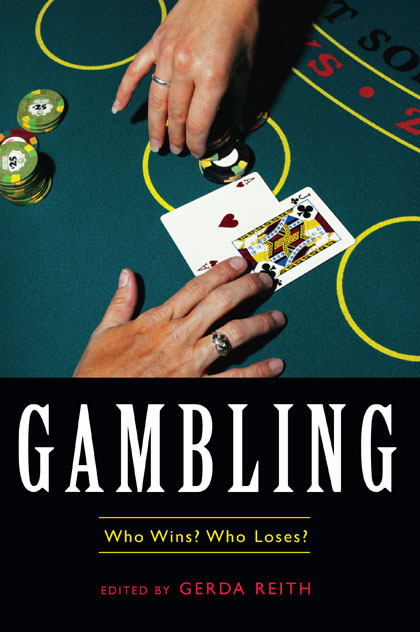 It is thought that if gambling is closely connected with money than it is closely connected with crime. In any case, the gambling business contributes much money to government revenue and the country?s revenue as a whole. To prohibit a gambling business means to stop making the good profit that gambling brings. The gambling houses attract tourists and their money into different countries. In our lives we can make choices that are closely connected with risky situations even if we don?t realize it. This is dangerous but in reality it is pure gambling that we play and that becomes part of our lives. Those people that feel the lack of this hazard in their lives become involved in different types of gambling and risk losing everything. Instructions: Respond to the questions below, then click the "score" button for an interpretation of the results. * 1 ) Did you ever lose time from work or school due to gambling? * 2 ) Has gambling ever made your home life unhappy? * 3 ) Did gambling affect your reputation? * 4 ) Have you ever felt remorse after gambling? * 5 ) Did you ever gamble to get money with which to pay debts or otherwise solve financial difficulties? * 6 ) Did gambling cause a decrease in your ambition or efficiency? * 7 ) After losing did you feel you must return as soon as possible and win back your losses? * 8 ) After a win did you have a strong urge to return and win more? * 9 ) Did you often gamble until your last dollar was gone? * 10 ) Did you ever borrow to finance your gambling? * 11 ) Have you ever sold anything to finance gambling? * 12 ) Were you reluctant to use "gambling money" for normal expenditures? * 13 ) Did gambling make you careless of the welfare of yourself or your family? * 14 ) Did you ever gamble longer than you had planned? * 15 ) Have you ever gambled to escape worry, trouble, boredom or loneliness? * 16 ) Have you ever committed, or considered committing, an illegal act to finance gambling? * 17 ) Did gambling cause you to have difficulty in sleeping? * 18 ) Do arguments, disappointments or frustrations create within you an urge to gamble? * 19 ) Did you ever have an urge to celebrate any good fortune by a few hours of gambling? * 20 ) Have you ever considered self destruction or suicide as a result of your gambling?